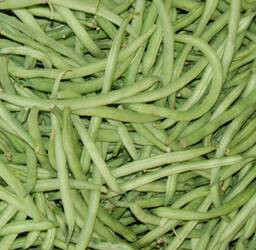 Blue Lake Green Beans: Blue Lake Green Beans are tender, tasty and are delicious raw as well as cooked. Cover in a pan with water and bring to a boil for just a few minutes. Drain water and cool with cold water. These beans can be eaten as is or drizzled with vinaigrette, pomegranate seeds and even blue cheese. 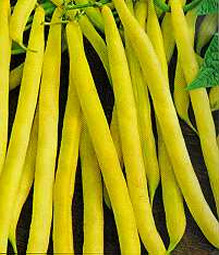 Yellow Wax Beans: Yellow wax beans are a pale yellow almost translucent color. Place beans in a perforated plastic bag and store them in the refrigerator crisper. Although they will keep longer, up to 5 days, enjoy them within 2-3 days. Prepare as you would blue lake green beans. For extra interest, mix blue lake and yellow wax beans together for a colorful dish.